After some behind-the-scenes squabbles over manpower in June 1944, members of Britain's Special Air Service (SAS) and Special Operations Executive (SOE) joined forces with French Resistance fighters to attack Das Reich convoys en route to the front in Normandy. This program chronicles the mission's early successes, which led to German reprisals, including the massacre at Oradour-sur-Glane. 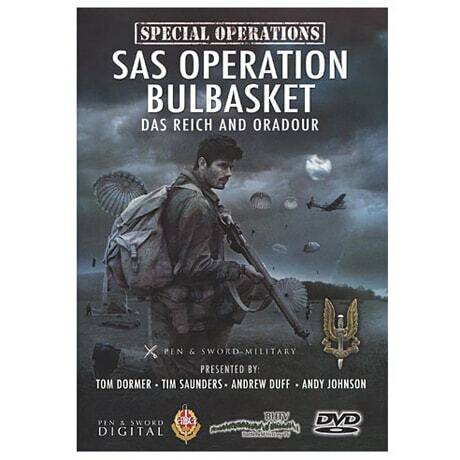 Many of the several dozen men involved in Operation Bulbasket were captured or killed, but not before some of the most important objectives were achieved. Telling the story of this critical yet comparatively unheralded mission, this first installment in a two-part documentary series features expert commentary, re-enactments, and location filming.